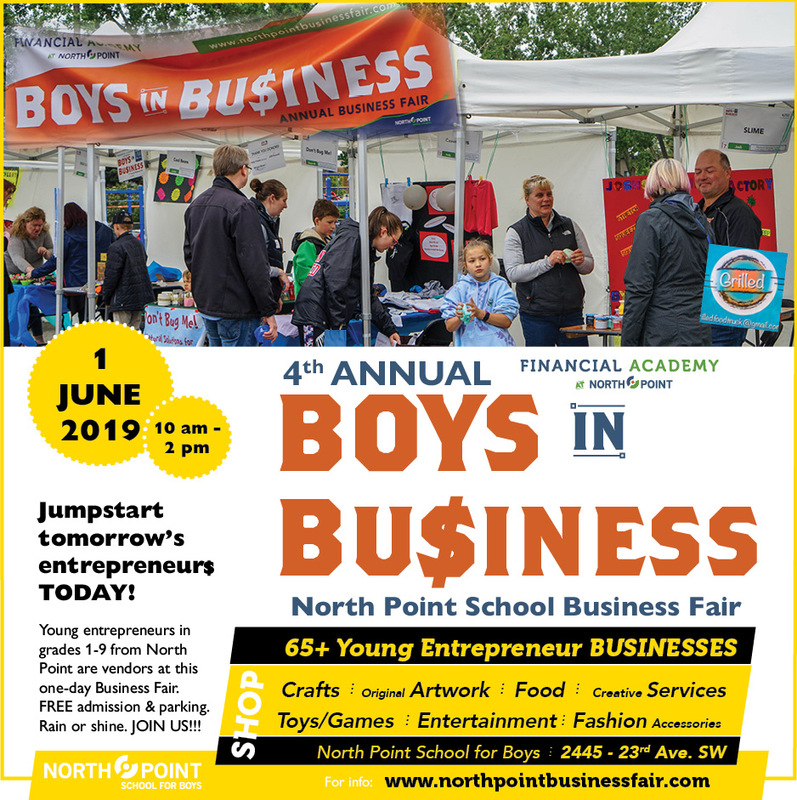 Only 7 weeks until the 4th Annual Boys in Business Fair (June 1) ! Hope the plans and products are coming together nicely. 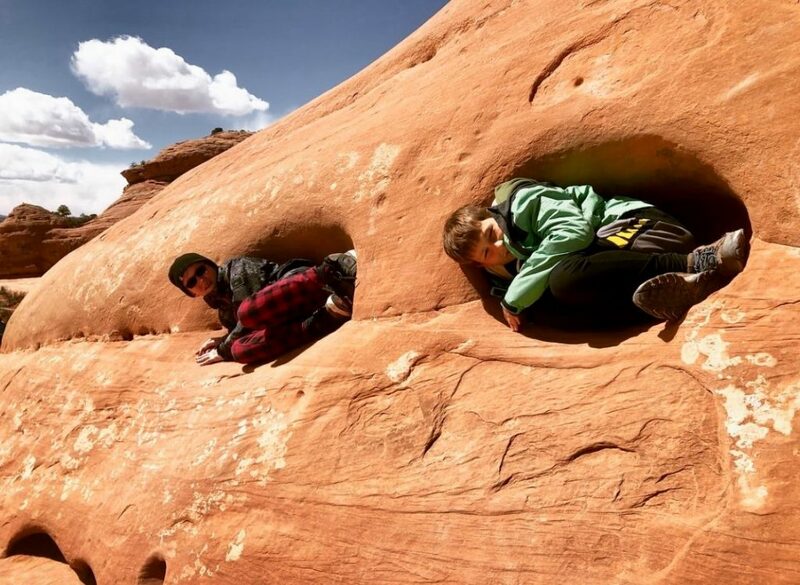 We have a few photos and a short write-up of the spring Travel Program to Utah. Read it below! 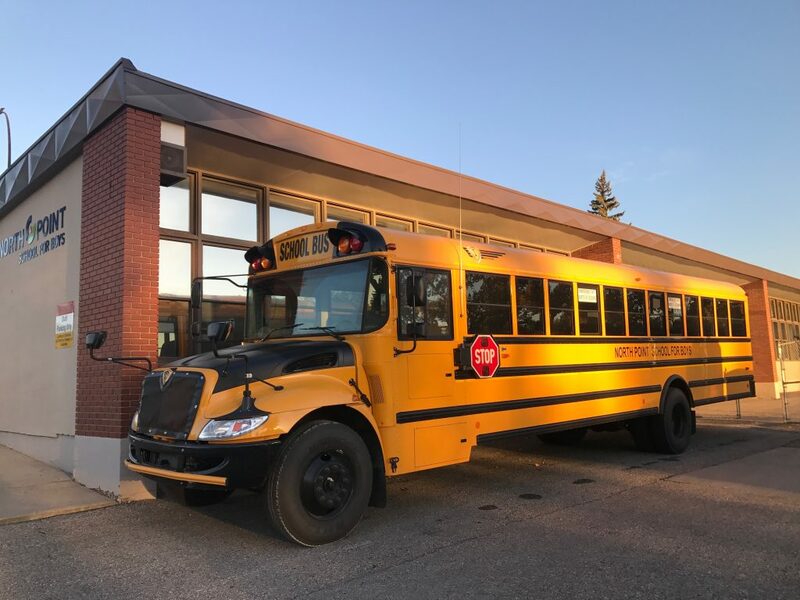 2019-20 ENROLLMENT – Many thanks to those families who have already returned these to our office. Reminder that the deadline was this part Friday. We appreciate you submitted them to the main office ASAP. 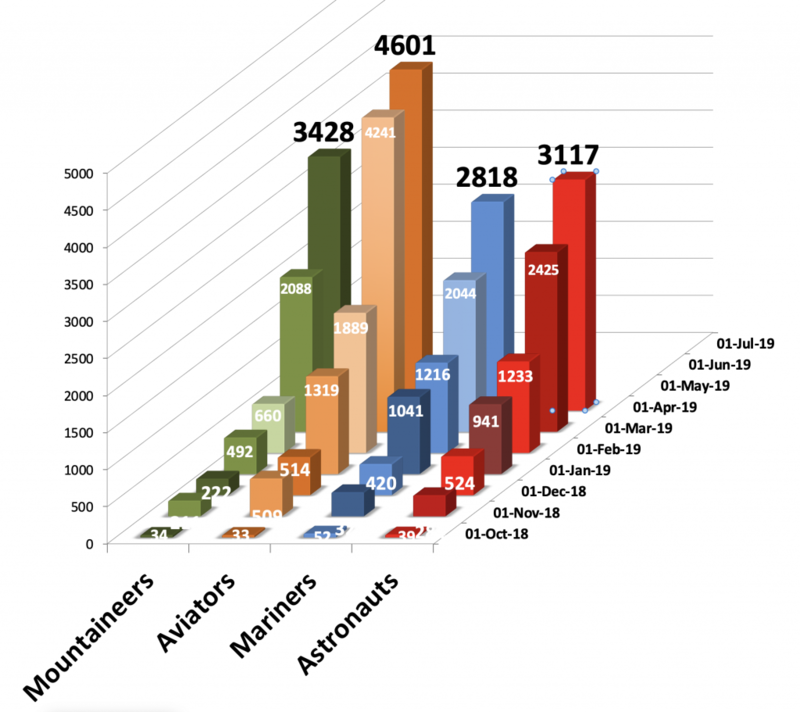 These re-enrollments are critical is allowing us to do proper planning for our program next year. Wow ! It’s been two weeks since the boys returned from Utah but we are reliving it daily as we process the photos, videos and great memories. Kayd, our lead guide just sent Les a few THOUSAND photos so stay tuned for a links to directories where you can waste lots of time dreaming about your next trip. For now – enjoy a small recap and some stunning photos of the EPIC SPRING BREAK TRIP HERE. Seems like only yesterday that Dimitri was running the halls at North Point. His mom sent this update recently! Good to see him settling in to his new home. 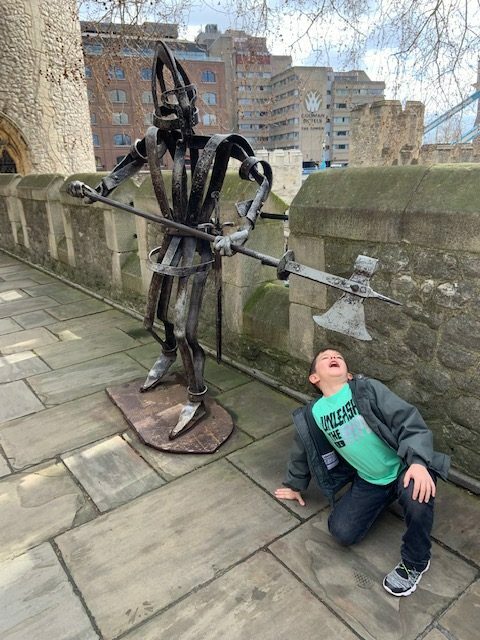 I wanted to share Dimitri’s first couple weeks here in England! We’ve been very busy setting things up here but also getting out for some major adventures! It’s been nice to have that bit of time get settled in. 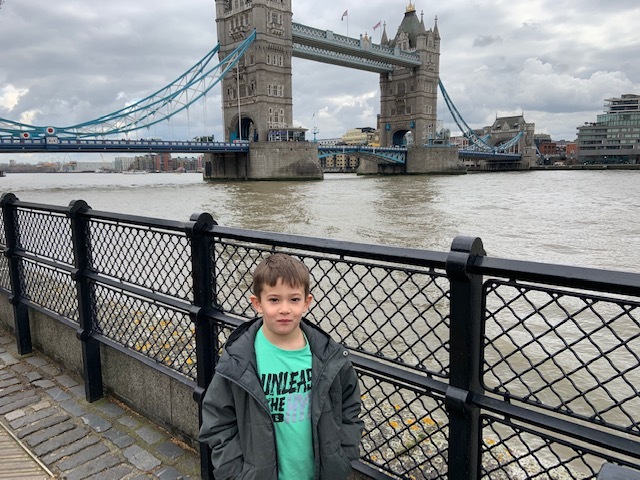 Dimitri has been now to the London Zoo, the Tower of London, Dover Castle, the Clink Museum & the Golden Hinde, and the Museum of London. 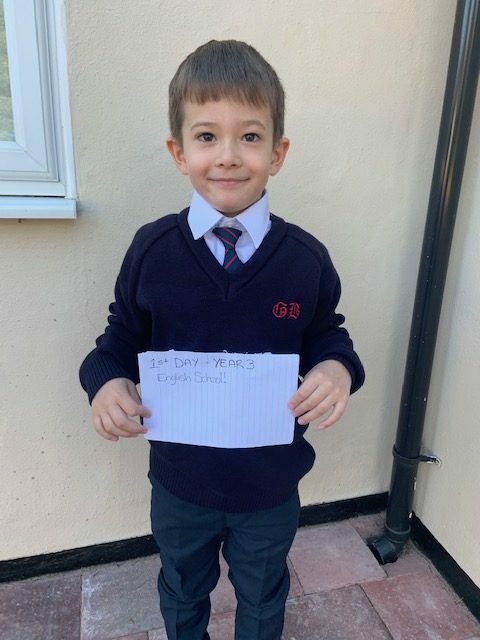 We’re still held up getting into our house – hopefully end of this week… but Dimitri started school this morning! I’ve attached pictures of him for his first day! He’s nervous going in but he has an excellent teacher that he met already and seems to be getting on well with. His teacher is a Canadian & American history and geography expert! He studied in South Carolina I think it was. He also has another teacher who is from Hamilton Ontario. She’s lived in the UK for 10 years. Seems to be a great fit and though he’s nervous and had a hard time sleeping last night, he seems excited to be there. He is settling in very well but he misses you all and hopes everything is going well at North Point. 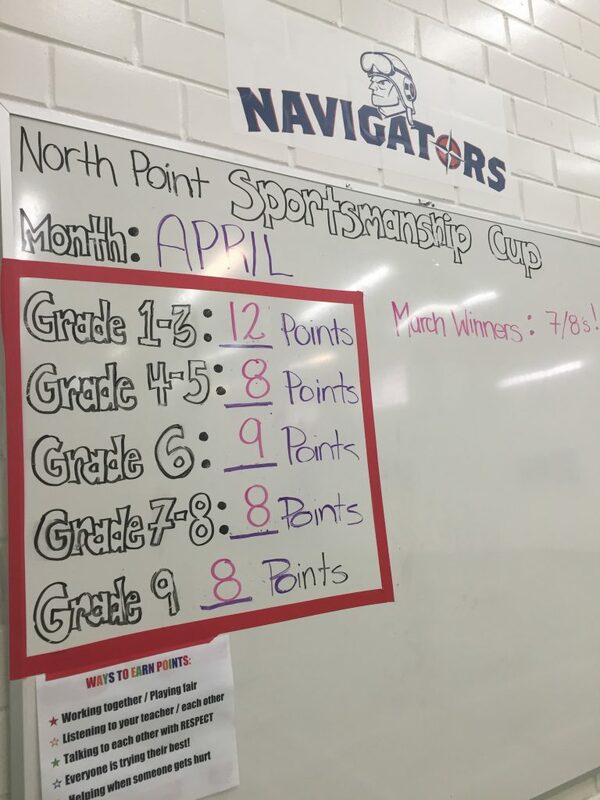 As part of the Financial Academy curriculum, North Point School students in grades 6-9 are grouped into 10 teams competing in The Stock Market Game, https://www.stockmarketgame.org/. This online simulation of the global capital markets engages students in the world of economics, investing and personal finance, and has prepared 17 million students for financially independent futures. There are 72 teams from across the Canada competing in our division, with students mainly in high school. North Point teams have made good progress over the duration of the contest. We are especially proud to report that one Grade 6 team (Matty, Tom and Zane) are currently ranked in 8th place overall. Congratulations to all our participants. 47 DAYS to go ! 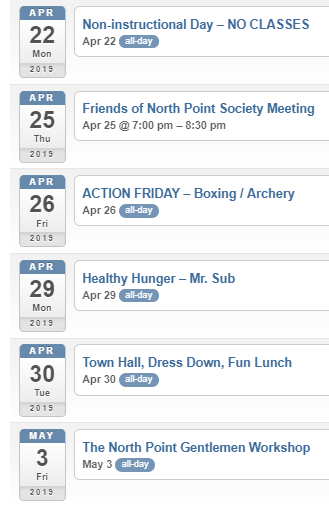 Each month, Ms. Quinn keeps a tally on the good deeds and sportsman conduct during Physical Education classes. April results coming soon !